Making art and healing dolls has helped me to express my feelings, trust my body, mind and spirit and develop an intuitive and empathetic connection with myself, nature and others human beings. Eight art and healing dolls will express emotion and use metaphors of the natural world, symbol and story to embellish and express feelings. These “dolls” will invite the viewers to reflect on their own emotions and feeling expressions, and perhaps create a dialog with others about how emotional art elicits an empathetic response. Making healing dolls will bring out feelings—often ones you think you’ve hidden or stuffed. When I show one of my dolls that symbolizes a deep healing process about anger, sadness, or fear, the person viewing it will often say “it’s too scary or ugly. Often I hear, “Is that a voodoo doll?” or “Why would you make such an ugly doll?” Despite these first responses, most people are still drawn to dolls made from the creator’s deep emotional regions. They want to hear the stories and meanings of the dolls. It is my continuing quest to find innovative artmaking ways to create change in myself and others—from a state of pain, numbness, and disease, to one of well-being, continuous growth, and healing. 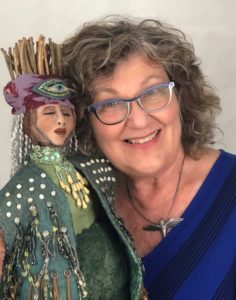 My ultimate goal is that the viewer and the maker entertain the possibility that making healing and transformative dolls can create positive change and help in dealing with pain, struggle, uncomfortable feelings, and or life challenges. This process can be an opportunity to learn more about yourself, grow in your wisdom, connect with your intuition and transform an aspect of your life. Our bodies are where our stories live and our aliveness resides, longing to be expressed. I support people in allowing their bodies to reveal these stories by unveiling what’s alive in them. I offer them open-hearted attention, permission to move from their internal impulses, and a non-anxious, witnessing presence. My services included one-on-one sessions, creative movement sessions called Free Motion, and workshops, called Essential Motion, that enrich body awareness and aliveness through mindful attention and movement. I have studied Essential Motion with founder Karen Roeper for 13 years and led weekly Free Motion sessions for 15 years. I have given talks and workshops on body awareness topics across the U.S. and am the author of Body Odyssey: Lessons from the Bones and Belly and The Secret Wisdom of a Woman’s Body: Freeing Yourself to Live Passionately and Age Fearlessly. 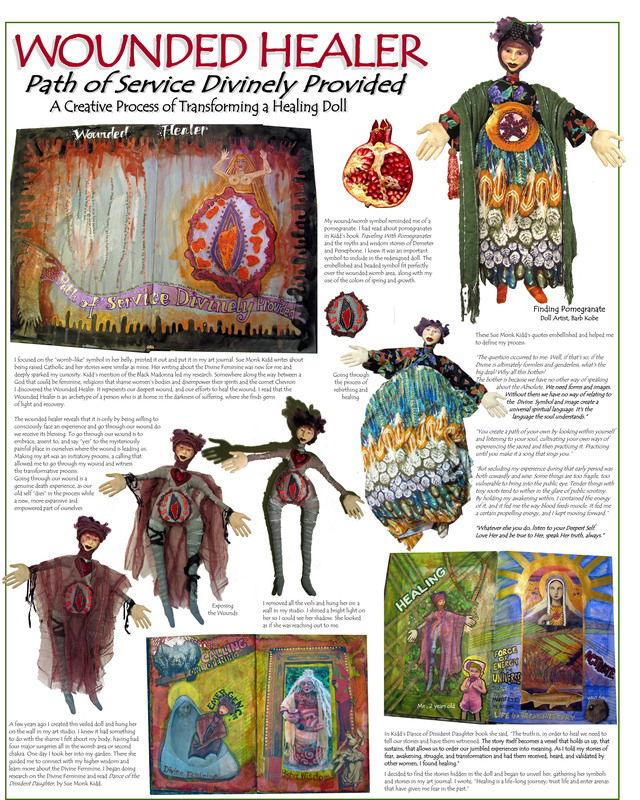 Barb Kobe is a Mixed Media Artist, Professional Teaching Artist, Author, Mentor and Creativity Coach. She has a BA in Psychology with an emphasis in expressive arts, as well as, a Practioner Certification in Neuro Linguistic Programming. She is trained as an ARTbundance Creativity Coach and a Licensed Journey Path Facilitator. 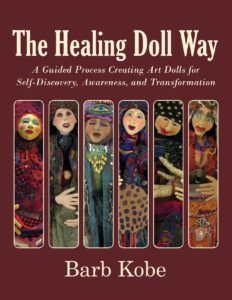 Barb Kobe is a Minnesota one-of-a-kind art and healing doll artist. She was a very sensitive child who found great comfort making art and playing with dolls. When she had children of her own she learned about emotional intelligence as she taught her children about their feelings. She developed and manufactured a set of puppets that helped in the expression of feelings. While making them she noticed that as she would think about that feeling, where she felt it in her body and notice where she was expressing it in her life.